I'm afraid I'm about there with the tiny parts, too. I can barely see some of the tinier photo etch pieces, let alone figure out how to secure them to clean them up and attach them. I'm at the point where I'll always choose the plastic part over the PE part if there is a choice. I'll even omit a PE part if I think is gonna be too tiny to notice later. I'm in. Over half my stash is related to the North African Campaign. 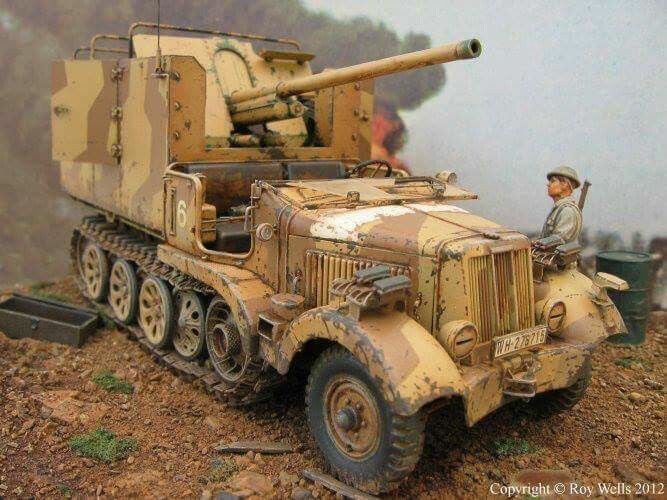 I'm thinking an SdKfz 10 towing a PAK. I'm back from my two-week fishing vacation in Alaska and ready to talk models once again. For the curious my fishing yielded Rainbow Trout and Red Salmon and many quality hours with my father and mother nature. At one point I looked up into a tree and found myself less than 10-feet from the eyes of an adult bald eagle. Later I was able to watch the two adults teach their two immature eagles how to eat fish. All phots for discussion only. You really want me to build that one since I told you I had it in the stach don't you Gary. yes, it would be fantastic if you built that kit. Actually, I'm a little jealous. I'll look for one when I start stash building again. I would have loved to have been at the meeting, but my flight landed at 7:45pm. I'll have to wait until next time for Aussie tacos and cake. Ummm, I gotta know, what's in an Aussie Taco???? Foster's? Yea guys, I'd like to know too, what is an Aussie taco? I hope you're not talking about the Outback Steakhouse menu items. I have no idea what is in an Aussie Taco. But, if you go to MacDonald's and get an Aussie Burger, it will have the usual stuff PLUS: Grilled onions, Beetroot, and a Fried Egg. Nice campaign. Having had several glasses of..., I'm thinking to sign up (even if I didn't complete the Tank Hunters campaign). I'm thinking about building the venerable Italeri M14/41... Might add some Friuls as the kit tracks are vinyl and look pretty naf. If I make the kit purchase tomorrow, I'm in. P.S. Aussie taco? kangaroo slices in a taco shell? It would be great to have you along with us. It will also be great to see some representations of Italian gear. EXCEPT that a home BBQ usually is more sophisticated than the rudimentary sausage sizzle. You are more likely to see prawns, fish, marinated chicken, Lamb kebabs, steak, hamburger, ..... and yes sausages..... on a home BBQ plate. Ah, the great Aussie snag (sausage). Lamb and snags are two great things I've learned to appreciate since moving to Aus. Oh man that looks great, bring on the heartburn! thanks for letting us know peter, I was still wondering about it. Thanks to the authoritative precision of the info on the internet, I'm kind of at a loss as to what British tanks of the Valentine, A10, etc variety (thinking MiniArt/Bronco) actually served then and there. I give myself at best a 50% chance of getting it right, so any help and/or suggestions would be appreciated. I'm not too knowledgeable about which British Marks of this or that were there on any given dates. So, if you're a little off, that's not a problem. I probably wouldn't know for sure, anyway. Having fun is more important than the number of rivets, if you get my drift. Just signed up for the party. Brings up my first question. Anyone knows when Rommel captured his AEC Dorchester Mammut which he named after 'Max' (from the German comic Max und Moritz? 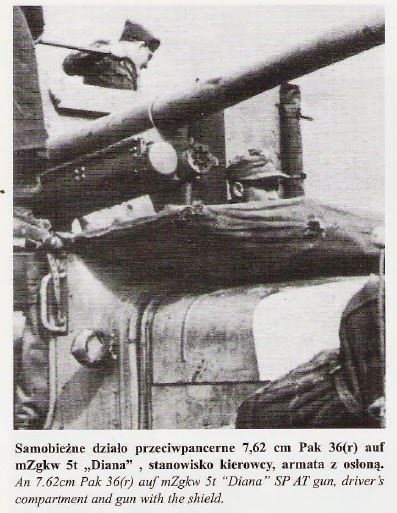 Did he use this as his mobile command center during Operation Crusader? I'd like to build it for this campaign. Answers for dates and events as from the beginning of the German campaign up to Operation Crusader. Think this will help you 'jonhar' and others of course. Thank you for that! Very helpful indeed! Will be more to come Gaz. When Mister Rommel is involved I'm in. Stumbled over this campaign proposal a while ago, forgot about it until Friday. Did some quick research. There is so much more info on this particular subject, you wouldn't even believe. I don't build tanks anymore, lost interest in that. But a AEC Matador, the men called it 'Dorchester' (after a luxury hotel by that time) and captured by 'Der Fuchs' Great stuff!